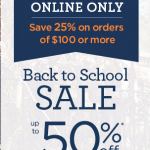 You are here: Home / online shopping / Gymboree Back to School Sale! 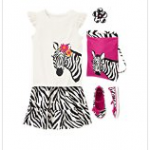 If you’re a Gymboree fan, make sure you check out the Gymboree Back to School Sale! You’ll save 30% off all regularly priced items and you can take an additional 20% off items that have been marked down! You will also earn $25 in Gymbucks for every $50 you spend! They’ve got everything you need to send your kids back to school in style including outfits, shoes, and hair accessories! They’ve got coordinating backpacks and lunch boxes, too! 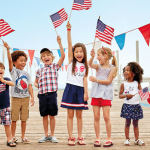 Gymboree’s Labor Day Sale: save an extra 40% on sale items! Gymboree 25% off sale plus BOGO 50% off jeans! Gymboree 25% off plus FREE SHIPPING offer! 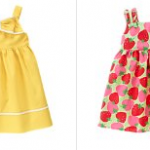 Save up to 70% on back to school shopping at Gymboree! The Gymboree Back to School sale has started!